I am so excited for this. After announcing back in October that it will bring Grand Theft Auto: Vice City to Android and iOS to celebrate the game’s 10th anniversary, Rockstar Games went quiet on the release, leaving us all to wonder when it would finally arrive. It even had me searching the App Store for ‘Vice City’ on a daily basis in the hope that it would suddenly appear. The company has now confirmed, however, that Vice City will hit the App Store and Google Play on December 6, priced at $4.99. The price was to be expected; that’s exactly what Grand Theft Auto 3 cost when it arrived on mobile last year. And if you ask me, it’s a very small price to pay to get this game — my favorite in the Grand Theft Auto series — in your pocket. It offers plenty of improvements over its predecessor, too. 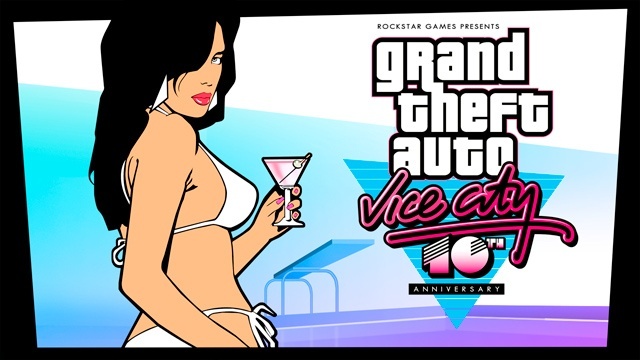 Set in the 1980s, Vice City is the second installment in GTA’s 3D series, and it was the first to introduce the ability to ride motorcycles. Its in-game radio stations are also packed full of awesome ’80s hits that never seem to get old — especially when they’re the soundtrack to your latest violent killing spree. Although the title will be an almost identical port of its console counterpart, it will bring a few improvements over the original. Rockstar promises we’ll see “updated character models and lighting effects, new and more precise firing and targeting options, a fully customizable control layout and native support for Retina display devices.” So it’s going to look awesome, then. But don’t think you’ll need the latest and greatest smartphone or tablet in order to run it. Vice City is compatible with fourth-generation iOS devices — like the iPhone 4 and fourth-generation iPod touch — and above, and also every iteration of the iPad, including the original. Look out for Vice City on December 6!